Back in December, I got a much-needed hair cut to chop off my dead ends and get it back to being healthy. My hair has had its dull moments over the years, thanks to daily heat styling and dramatic color changes. So as I’ve gotten older and wiser, I’m trying to really take care of it by using the right products. For now, I’ve been keeping my hair a little past collar bone length, since it’s a lot easier for me to take care of properly this way. But, having shorter hair has its limitations, especially for styling. One of my go-to looks is loose, tousled waves that look a little undone, but give my hair shape and style. 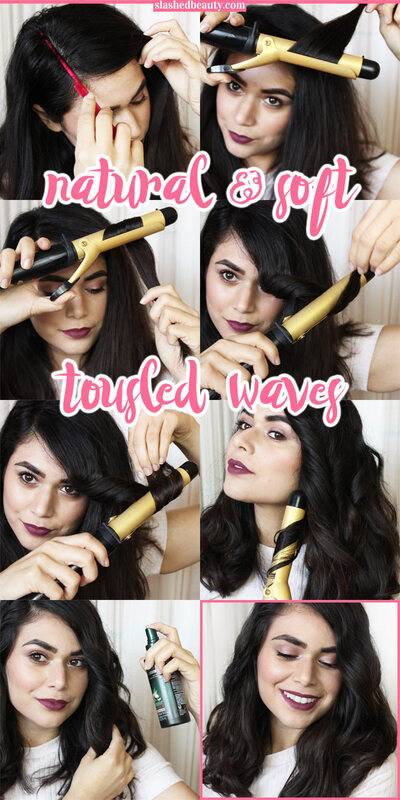 Long lasting, casual waves are actually pretty simple to get with just a 1 1/2” standard curling iron with a clever trick I learned years ago. The prep for this style includes making sure you have soft, manageable hair. If you follow me on Instagram, you know that I was on set with TRESemme about a month ago filming a few hair tutorials for them. While I was there, they introduced me to their new BOTANIQUE line. 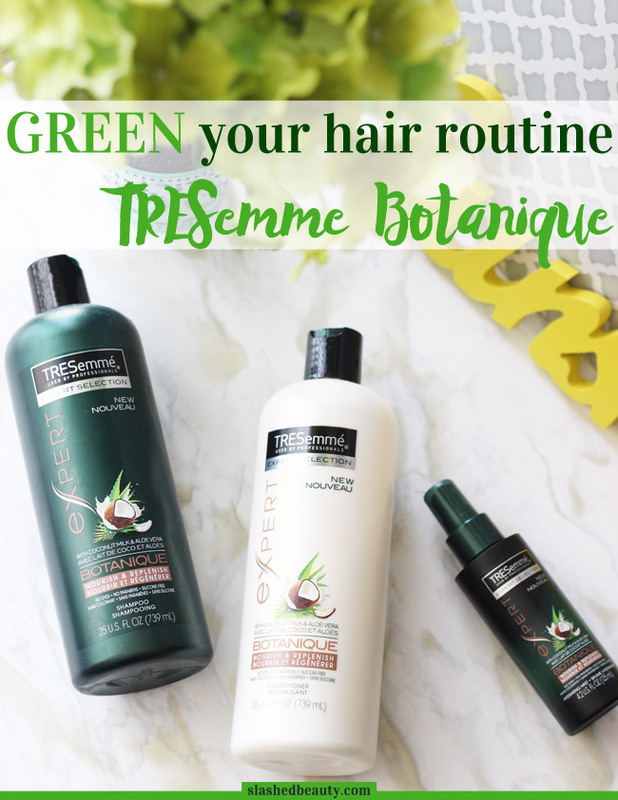 The new line is free of dyes, parabens and silicones, making it a great way to green your hair routine on a budget while giving your hair the care it needs. The new BOTANIQUE Nourish & Replenish products are infused with coconut milk and aloe vera for a weightless hydrated feel and the nourishment your hair needs to be ready for any style. After parting the hair, take a 2-inch section of hair off the top and place it through the clamp of the iron. Wrap the hair towards your head once, pulling it downwards, tight against the barrel of the curling iron. Keep it there for about ten seconds, then wiggle the curling iron out of the loop. Now, clamp the curling iron right under the curl you just made, wrap the rest of the strand over the barrel, pulling downward. Let sit until curled. Keep doing this all the way down until you reach your ends. Repeat around the head on all visible hair on the top few layers. Go in and spot-curl any straight pieces sticking out underneath the top layers. Feel free to curl this as you normally would. Top off with the TRESemme BOTANIQUE Nourish & Replenish Hydrating Mist to keep it looking healthy and shiny while putting a little bit of moisture back. Comb your fingers through the waves to get them to loosen up if desired. 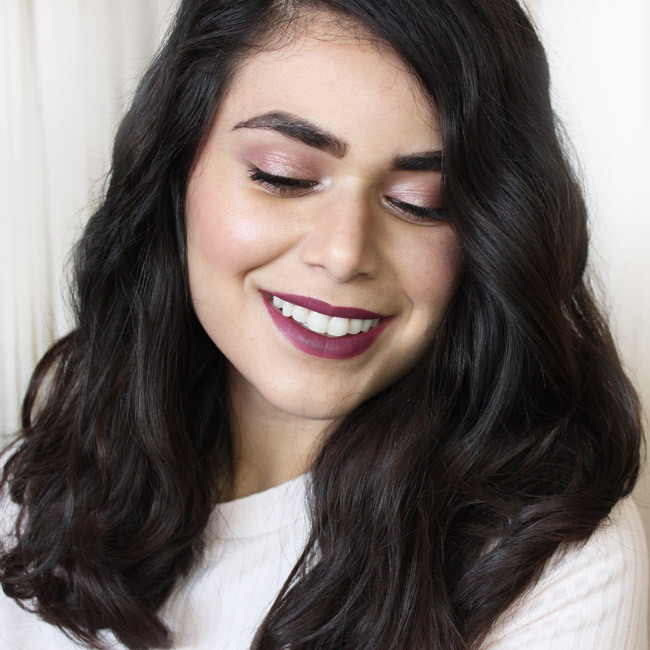 If you have a Meijer near you, I’ve seen some great TRESemme digital coupons you can use on these new products to replicate this style, so keep an eye out when you plan on shopping! If you can’t find coupons, no worries— I’m giving away a $50 Meijer Gift Card so you can pick up the BOTANIQUE products yourself. To enter, retweet the tweet below and reply telling me what your go-to hairstyle has been this year so far. Be sure to include the hashtag #MeijerNewLook, too! This giveaway is only open to U.S. residents, residing in the states where Meijers are located: including, IL, IN, KY, MI, OH, and WI, who are 18 or older as of date of entry. Ends Friday, March 7th at 11:59PM— see official rules here. What has been your go-to hairstyle lately? Your hair looks absolutely amazing!! I’m going to have to try those products out! Thanks for sharing! Thank you! I’ve been loving them– especially the spray. Really great to revive dull third day hair! Your hair looks wonderful. I love coconut for skin, hair… It’s a fantastic ingredient that gives real results. I love Tresemme, especially their conditioners. Some of the best at that price point! I haven’t seen the new line of products yet. I love your hair in these pics! Yesss it’s seriously a miracle hair ingredient, perfect for frizz too! You’ve got gorgeous, thick hair! I am overdue for a chop but have this how-long-will-it-grow-in-five-years bet with myself LOL. My hair just got so damaged when I wasn’t cutting it… but it got pretty long! I like the hair length you have now! Thank you! I like it too. SO much easier to take care of. Love this hair look, and you also look great! 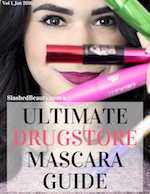 Who knew a drugstore brand could make your hair look so good? You look fabulous and so does your hair. 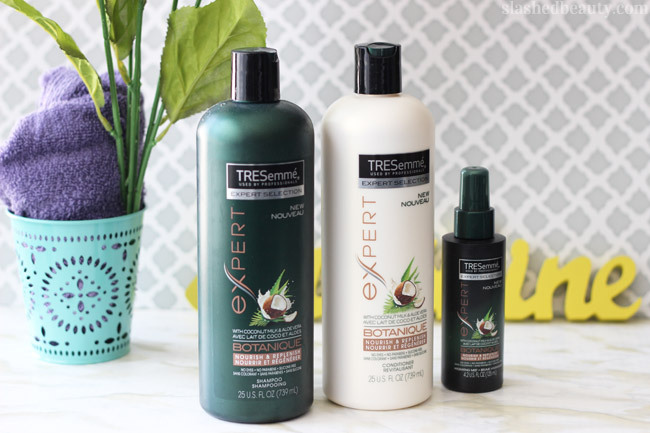 I’m such a fan of Tresemme… great products at a great cost. I swear, you make me wish I had longer hair again so I could get this kind of look! Your hair is amazing. I shop at Meijer all the time. Awesome!! Enter the giveaway and good luck! Your hair looks beautiful–it’s so thick! Thank you! I haven’t colored it in ages! 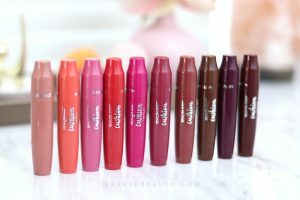 I have similar products – I bet it would be perfect for me!!! Sads I can’t enter, but good luck to those who can! Your hair looks great. Envious of how much hair you have! Love your waves! That style looks really good on you. Thank you! This trick really helps them last, too!